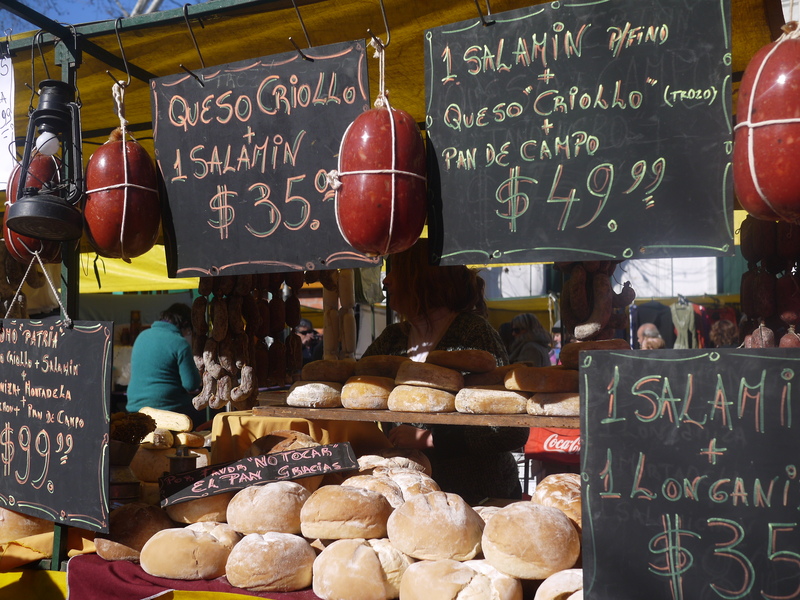 Eating: You can buy choripan (sausage sandwiches) and other cuts of meat from many different stalls. Pick the one with the longest line! 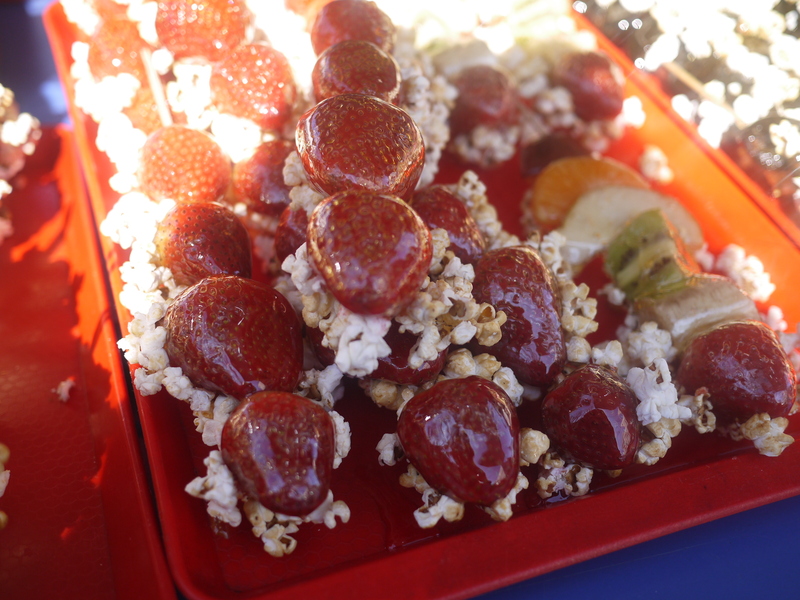 You can also get many different sweets such as strawberries and other fruits dipped in almíbar (sweet sirup). There are also some sit down restaurants. Shopping: When you first enter the fair, there are stalls selling all sorts of random things: children’s clothes, belts, books, toys. Then you get closer to the main area and it becomes more “serious”: arts and crafts, for instance. Then there is a whole large section dedicated to food stuffs: this is the best part! 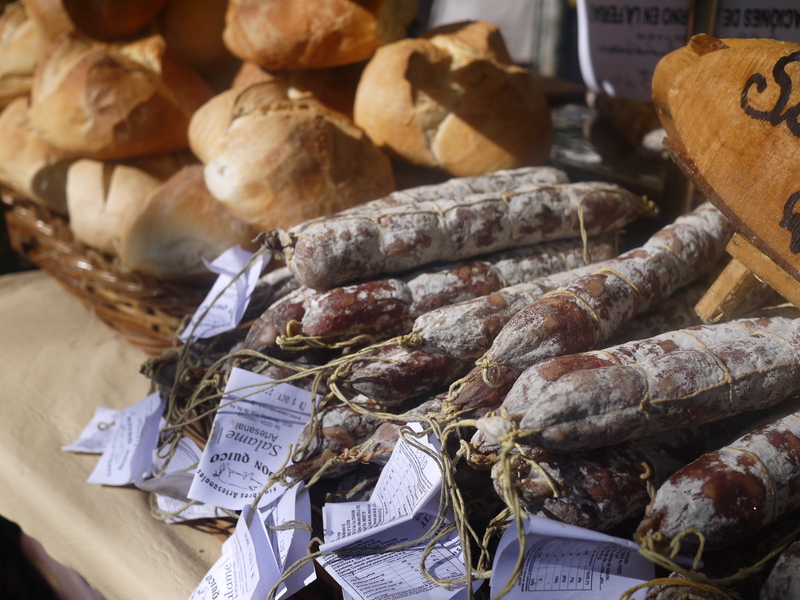 There are all sorts of sausages and other meats (fiambres), cheeses, fresh bread and pastries, wines, oils, chocolates… It’s really wonderful. 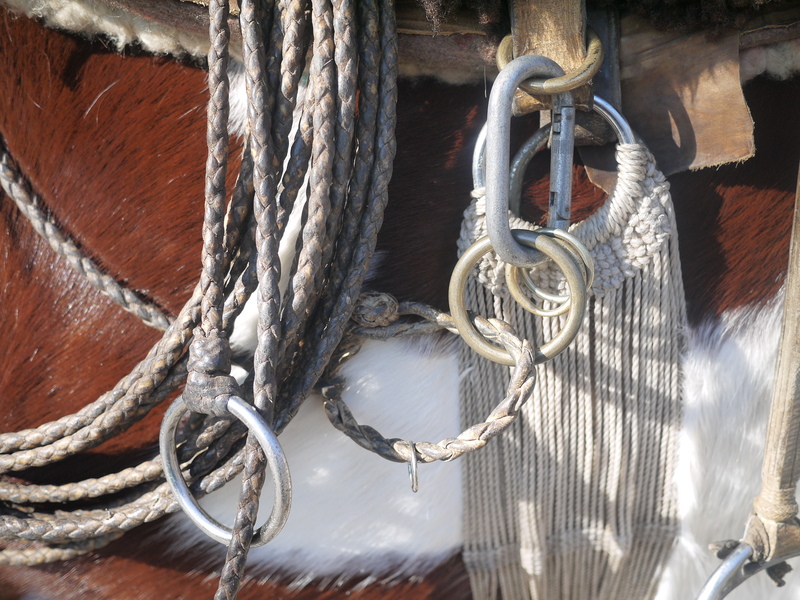 Jineteada: Another street is set up as a horse show, where riders compete in corrida de sortija, a traditional gaucho sport where the riders have to go at full gallop and insert a small piece of twig in a ring suspended about three meters above the ground. This is also fun to watch, although I felt bad for the horses’ feet as they hammered the pavement… There was sand on top of the asphalt but still nothing like out in the country. 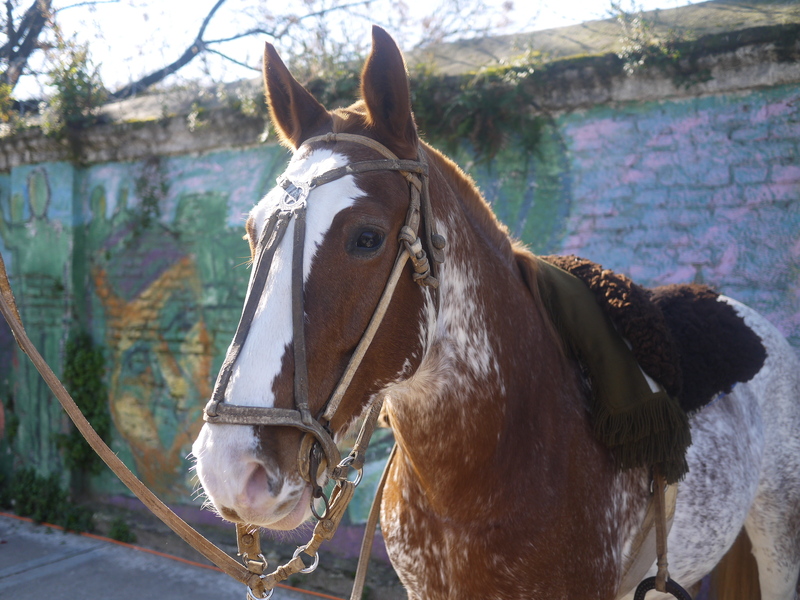 I totally fell in love with a horse there, I just couldn’t leave him. Beautiful! Music and dancing: On the main stage, in front of the original market building that is the heart of the fair, there are shows going on all day, mainly traditional folklore music. In front of the stage people dance and it was so nice to see all the older people dancing for hours. How to get there: From Villa Crespo, we took the 55 bus, which starts in Belgrano and passes through Palermo. Very cheap and on a Sunday there was no traffic, so we got there in less than 45 minutes. A taxi would probably have been maybe 150 pesos. 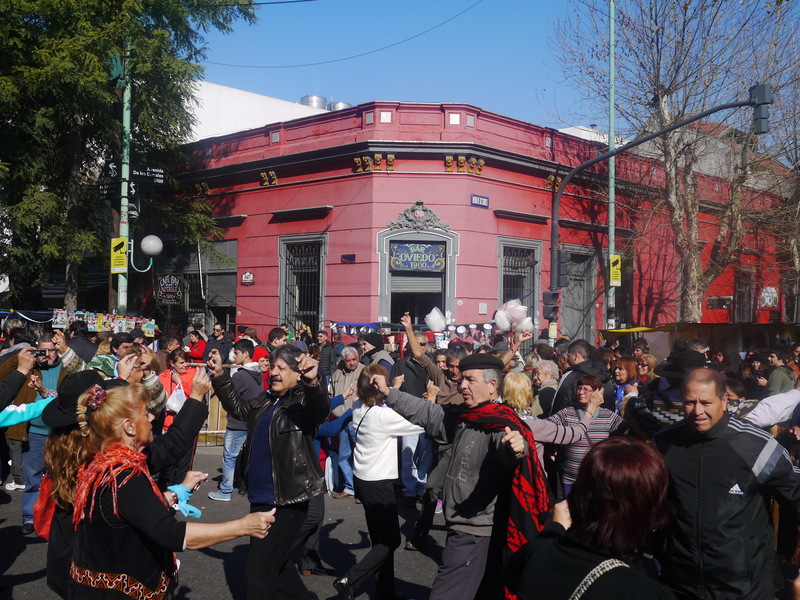 This entry was posted in Buenos Aires, Campo, Personal, Practical info, Travel. Bookmark the permalink.